The Yamaha MOX6 and MOX8 offer cutting edge sounds from the flagship Motif XS/XF workstations in a mobile, affordable package. 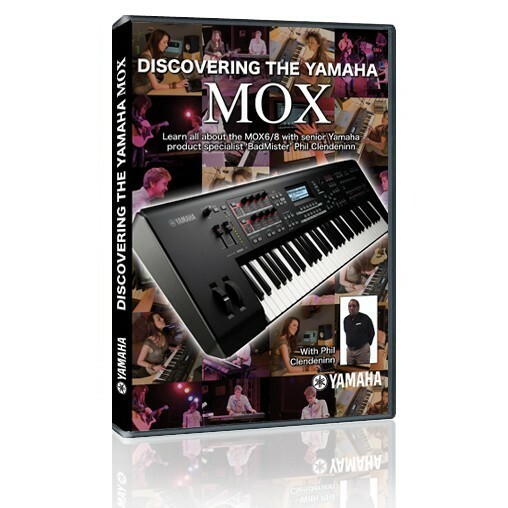 In this DVD Phil Clendeninn–senior Yamaha product specialist and ‘BadMister’ from the Motifator.com forums–shows you how to find, apply and customize the MOX’s entire list of incredible features. In addition to looking at the MOX’s own internal treasure chest Phil Clendeninn investigates the instrument’s USB computer integration and audio interface capability.